Today, I am heading to Western Maryland to shoot the Lonaconing Silk Mill, which is the last intact silk mill in the United States. Before I leave, I wanted to post one more image from Grand Teton National Park. This image is one of the reasons that hiring an excellent tour guide like Jeff Clow is more than worth it. 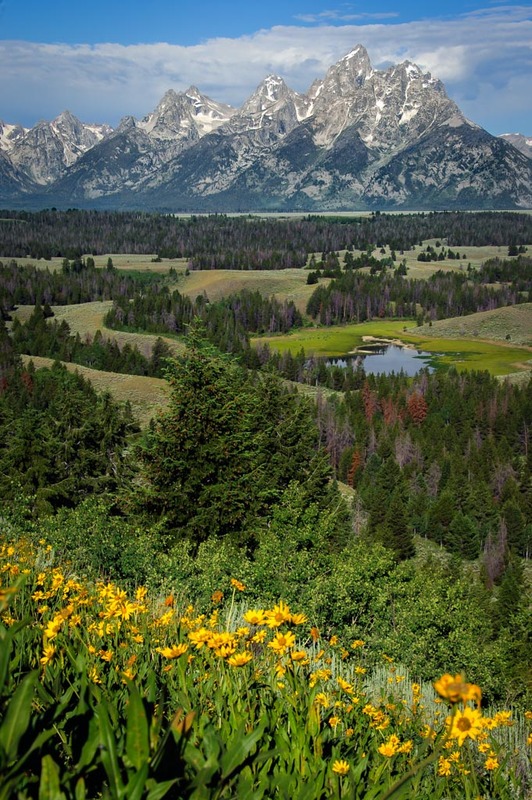 Jeff has spent considerable time in the Tetons and has grown a network of locals that keep him informed of what is going on, from animal sightings to wildflower locations. July is prime wildflower season in the Tetons, but with an unusually hot summer this year, the wildflowers were nowhere to be seen in Jackson Hole. Jeff took us to one of his favorite locations and there they were along with this beautiful view of the Tetons in the background.